Inflation has hit a five-year high and is now 0.9% above the rate of wage growth - meaning that the incomes squeeze is becoming tighter. And if you are employed in the public sector - where pay rises are capped at 1% - or rely on benefits - which are frozen - that squeeze is even tighter. The Institute for Fiscal Studies estimates that the benefits freeze will leave the 10.5 million households affected worse off by around £450 a year. The freeze saves the Treasury around £4.6bn - important for the public finances - but the chancellor knows that political pressure to reverse the freeze will grow. Falling real incomes, whether you are on benefits or not, are politically toxic. One group somewhat protected from that incomes squeeze are pensioners, although it needs to be remembered their incomes are often lower in the first place. This high September inflation figure sets the state pension increase for 2018/2019. That fact is likely to bring into sharper focus the debate around intergenerational "fairness" - that older people are gaining more in the present economic environment than younger people who are struggling with low and erratic wages. With poor economic growth and productivity figures and uncertainty over the Brexit process, the Bank of England's decision on whether to raise interest rates next month is finely balanced. Yes, "price stability" is the main purpose of the Bank of England's Monetary Policy Committee (MPC) which makes the decision. And inflation at 3% is just 0.1% below the point at which the Bank's governor, Mark Carney, has to write to the chancellor explaining why price rises are so far ahead of the Bank's target of 2%. But many believe that inflation may now have peaked as the effects of sterling's depreciation following the referendum dissipate. Sir David Ramsden, the new deputy governor for Markets and Banking and a member of the MPC, seems to agree and has put himself on the dovish side of the debate. 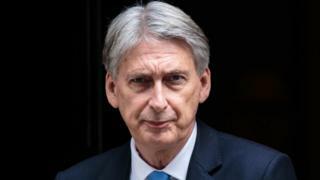 He told the Treasury Select Committee this morning that domestic inflation pressures appeared to be under control and Brexit risk was "multi-dimensional". An interest rate rise now, which increases prices for millions of mortgage holders and could dampen economic activity, could be just the medicine the economy doesn't need.